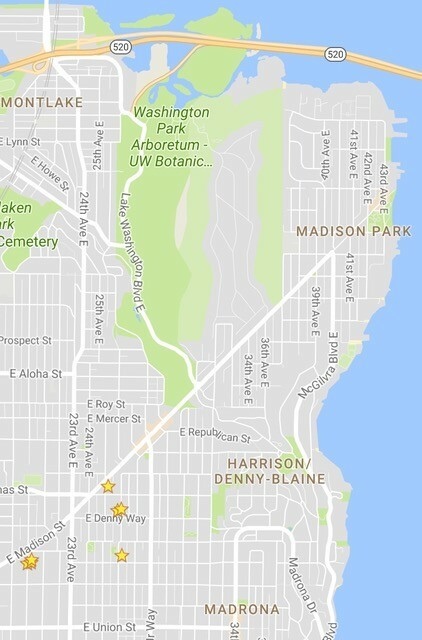 Here are the Seattle OPCD and SDCI Land Use notices and City planning activities in the last six weeks for communities from 18th Ave. to Lake Washington and E Union St. to SR-520. Land Use Application to subdivide one development site into four unit lots. This subdivision of property is only for the purpose of allowing sale or lease of the unit lots. Development standards will be applied to the original parcel and not to each of the new unit lots. Zone: Potential slide area, Lowrise-3, Arterial within 100 ft., Scenic view within 500 ft.
Land Use Application to subdivide one development site into two unit lots. This subdivision of property is only for the purpose of allowing sale or lease of the unit lots. Development standards will be applied to the original parcel and not to each of the new unit lots.